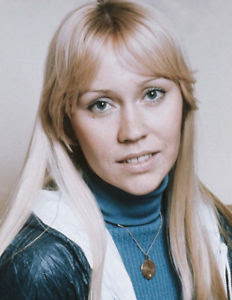 Agnetha Åse Fältskog (Swedish pronunciation: [aŋ²neːta ²fɛltskuːɡ], born 5 April 1950) is a Swedish musician, singer, songwriter, actress, and author. She achieved success in Sweden after the release of her debut album Agnetha Fältsko in 1968, and reached international stardom as a member of the pop group ABBA, which has sold over 380 million albums and singles worldwide, making them one of the best-selling music artists in history. After the break-up of ABBA, Fältskog found some success as a solo artist in the 1980s, though also became more solitary, avoiding outside publicity and settling on the Stockholm County island of Ekerö. Fältskog stopped recording music for almost 17 years until she released a new album in 2004.The singer returned again in 2013 with A, her highest-U.K.-charting solo album to date.